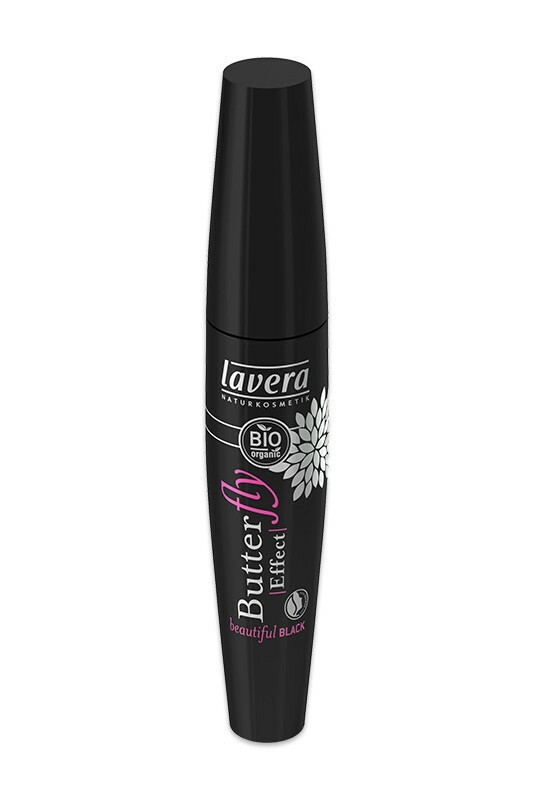 Lavera's Natural Mascara "Butterfly Effect" spreads your lashes to a whole new dimension ! Its innovative gum-fiber brush provides 4 special effects : volume, length, curve and definition. Lengthens and thickens eyelashes while ergonomic brush curls and separates for perfect result. LAVERA Vegan Mascara loads even the finest lashes for precise application in a single stroke. 100% natural, rich in protecting carnauba wax and soothing rose water, it leaves your lashes soft and shiny for a beautiful intense look ! Dermatologist and ophtalmologist tested (suitable for contact lenses users). 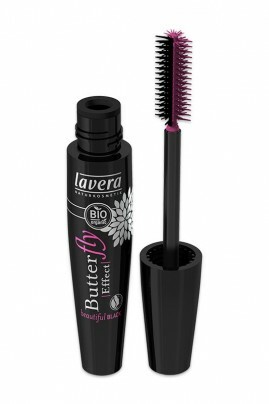 Bear a dramatic glamour look with Lavera Natural Mascara ! Apply Lavera's "Butterfly Effect" Natural Mascara from eyelash roots using zigzag stokes up to the ends. For more intensity, apply a second layer of mascara !